Antelope Flat Campground lies on the shores of the beautiful Flaming Gorge Reservoir at an elevation of 6,000 feet, on the Ashley National Forest within the Flaming Gorge National Recreation Area. Visitors love Antelope Flat for its easy access to boating, water skiing and fishing. Make a reservation at 877-444-6777 or www.recreation.gov. 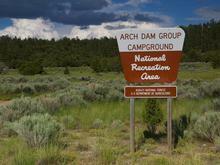 Arch Dam Campground is a popular location for family reunions, church outings and other large gatherings. 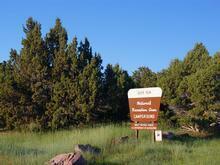 It is located on the Ashley National Forest within the Flaming Gorge National Recreation Area. Flaming Gorge Dam and the Green River Spillway are less than a mile away. Visitors enjoy boating, water skiing, fishing and swimming. Make a reservation at 877-444-6777 or www.recreation.gov. 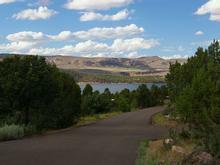 Buckboard Crossing Campground is located on the far northwest shore of Flaming Gorge Reservoir at an elevation of 6,100 feet. Boating, fishing and water skiing are popular activities Buckboard Crossing Campground offering single sites at a high desert terrain setting. New in 2009 - showers. Some RV electrical sites with 30/50/110 V. Access to dump station and the boat ramp on Flaming Gorge. 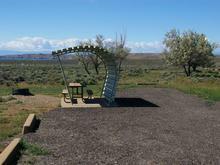 Canyon Rim Campground is located in a grassy meadow high above Flaming Gorge Reservoir, along Red Canyon Road at an elevation of 7,400 feet. 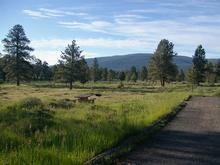 Visitors enjoy exploring the Red Canyon Rim Trail and canoeing and fishing at Greens Lake. Canyon Rim located close to Red Canyon Lodge is a scenic campground with access to hiking trails, scenic & wildlife viewing, mountain biking and great tent sites. Canyon Rim also hosts some of the most beautiful weddings. Carmel Campground located next to Sheep Creek and at the beginning of the Geological Loop is located inside a canyon with towering rocks & trees. Quiet and secluded, perfect for tent camping and hiking. Cedar Springs Campground is located in the beautiful Flaming Gorge National Recreation Area on the Ashley National Forest at an elevation of 6,100 feet. 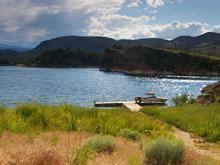 Flaming Gorge Reservoir and Cedar Springs Marina are less than a mile from the campground. Exciting recreational activities abound, including boating, water skiing and fishing. 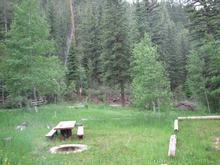 Deep Creek is a small campground that is secluded and shady. Not recommended for big RV's but perfect for smaller units and tents. Windy roads lead to this hidden gem. Deer Run Campground is located in the beautiful Flaming Gorge National Recreation Area on the Ashley National Forest at an elevation of 6,200 feet. 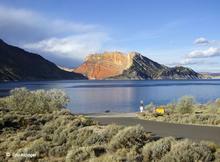 Flaming Gorge Reservoir is less than a mile below the campground. Exciting recreational activities abound, including boating, water skiing and fishing. 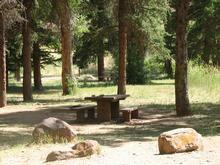 Dutch John Draw Campground is located within a quiet cove on Flaming Gorge Reservoir at an elevation of 6,000 feet. Campers enjoy easy access to boating, water skiing, fishing and swimming. 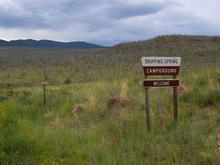 Thank you for visiting http://www.flaminggorgecountry.com/camping! Be sure and revisit flaminggorgecountry.com frequently for content updates and more.